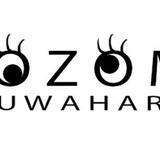 About... N⚆Z⚆MI KUWAHARA Childlike, Humanlike, Optimistic, and Playful Designer. Launching in 2017. She graduated from Parsons New School for Design after she studied at Bunka Fashion College in Japan. She worked as an intern at several places in New York before she went back to Japan, and started her label.